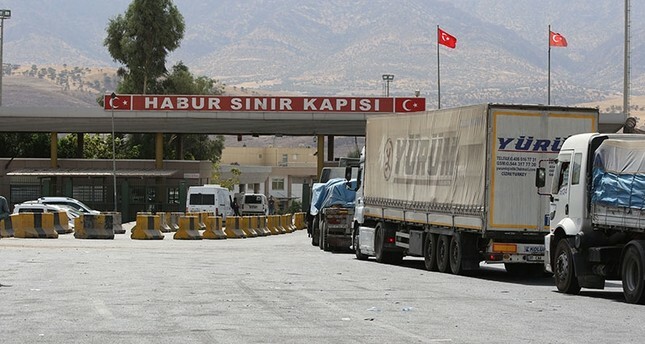 Customs and Trade Minister Bülent Tüfenkçi denied on Monday that Turkey had closed its Habur border gate in its southeast to land crossings from northern Iraq, but said that tight controls have been imposed on traffic. "There is no closure right now," Tüfenkci said, adding that crossings were "strictly controlled for security reasons". Travelers from Iraq are allowed to enter into Turkey, albeit amid tighter checks, the minister said. "Controls have also been tightened for vehicles," he added. He also noted that Ankara would "reevaluate the situation according to the developments in the following hours". The minister's comments came after Turkish broadcaster NTV reported that access into the country from northern Iraq had been blocked, but the border gate was still kept open for entries into Iraq. The restrictions came as voting started in an independence referendum organized by the Kurdistan Regional Government (KRG) in northern Iraq. Along with Baghdad, Turkey, the U.S., Iran and the U.N. have all spoken out against the poll, saying it will only distract from the ongoing fight against Daesh and further destabilize the region. Iraq's central government asked the KRG on Sunday to hand over international border posts and its international airports, retaliating to the referendum. It also threatened to intervene militarily if the vote leads to violence.